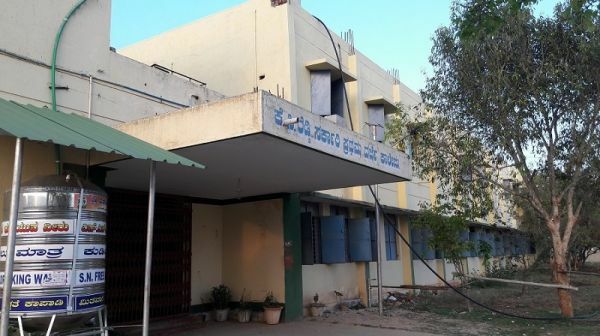 The Government First Grade College, Bangarpet since its inception has been catering to the needs of the students who come from poor socio-economic rural background. The college was started in 1985 in a rented building in the heart of the town. It was shifted to the present premises, which is on the outskirts of Bangarpet town providing a good learning atmosphere to the students. The college has got eight acres of land to its credit and has got an ample opportunity for the growth of physical and sports infrastructure. The college recently got 12 “B” recognition under the UGC Act of 1956 and was accredited by NAAC in 2012 with “B” Grade. The College has got a Library with a good collection of Books, Journals and E-resources to facilitate learning and research activities of students as well as teachers. The Library of the college has been active in conducting many activities like Book Review Competition, Best Library User Award etc., to attract and encourage the reading habit among the students. The college has got a good play Ground, OHPs and LCDs to facilitate effective teaching-learning and overall development of the students. The college with a view to improve itself conducts Internal SWOT Analysis, prepares Academic Calendar and charts out goals/Benchmarks to be achieved every year. The college has got vibrant NCC, NSS and Scouts and Guides Units to inculcate the spirit of Nationalism and Service among the students. The Red Ribbon Club and Red Cross Unit of the college conduct Blood Donation Camps, Awareness Programmes on AIDS and other community development activities on a regular basis. To add to this many communities service activities are held under Institutional Social Responsibility. The college is academically performing consistently well and the alumni of the college are placed in the reputed organizations of private and public sectors. The college provides platform for the students to express and explore their thoughts and creativity through the annual College Magazine “Honey” and the Wall Magazine.